Searching “fencing companies near me”, if you are in the Twin Cities Minnesota you have found yourself a fence company. We provide vinyl, wood, steel, aluminum, chain link fencing and gate installation and have been doing it for over 5 decades. We are a fence company that enjoys our profession and it shows. Contact us for a free fencing estimate and add more comfort, security and personalization to your home and property. Comfort is important in and around your home. From knowing your kids can safely play in the backyard while you make a meal or that your dog can roam the yard at night with little to no threats. A fence can be a comfort for a lot in your life, which is why we enjoy what we do so much. Knowing what is within your property line can bring a sense of security. We offer privacy gates and fences that will make it nearly impossible for trespassers to get though without a hard time. Great for those with a pool, children, dogs or just those that like their privacy. Have you seen our gallery? It is just of beautiful fence designs that worked out perfectly for our past clients. Hire A Tree Arrow Fence for not only a sturdy fence with a 5-year installation warranty, but also because have gorgeous ways to personalize your property. 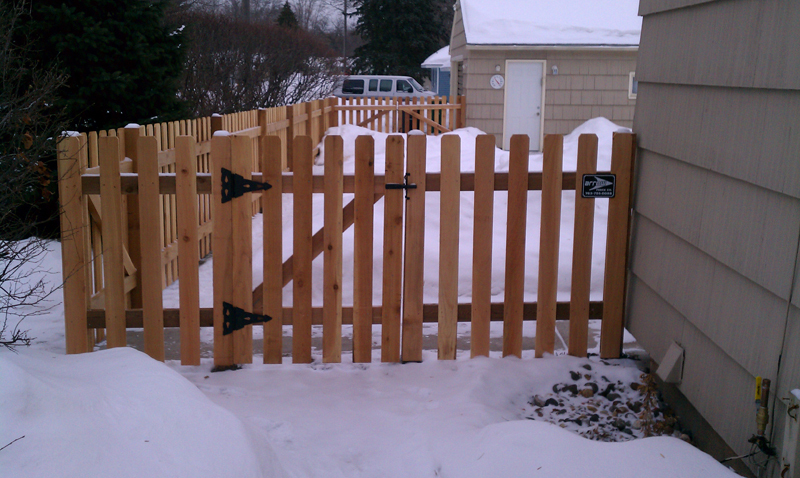 If you are looking to install a Vinyl, Wood, Aluminum, Steel, or Chain Link Fence and are in the Twin Cities Minnesota get a hold of us for a Free First Fence Installation Estimate.